The main purpose was to implement two devices communicating each other, using the technology of power line. Specifically, at this project the communication has been used to send data from a weight bridge/ weight machine to a remote display. For the power line communication has been chosen the ST7540 modem. ATmega168 is holding the protocol stack and controls the modem. 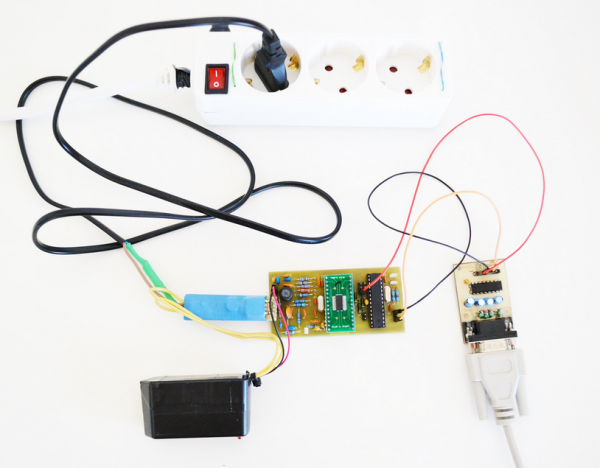 The data are sent to ATmega168 via UART which converts and transfers them using SPI to ST7540. ST7540 is responsible for the Power Line transmission. This entry was posted on Thursday, April 10th, 2014 at 9:00 pm	and is filed under AVR, data transfer. You can follow any responses to this entry through the RSS 2.0 feed. You can skip to the end and leave a response. Pinging is currently not allowed. I would like to provide me the diagram, please.